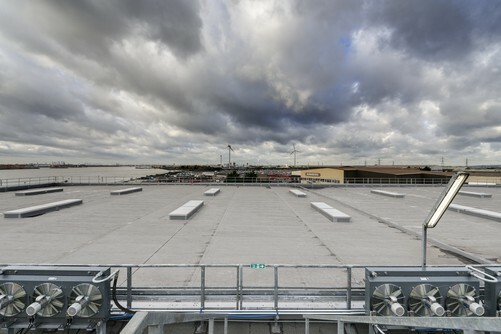 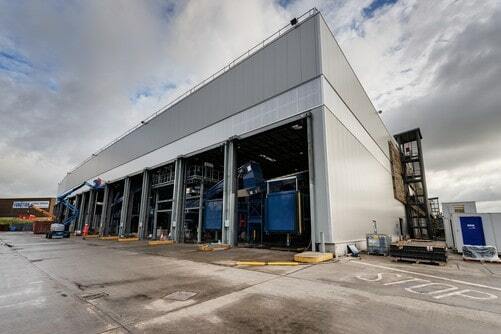 A range of Kingspan’s roof, wall and lighting products have been installed by Rooftech at the refurbished Shanks Group waste management facility at Frog Island, Rainham. 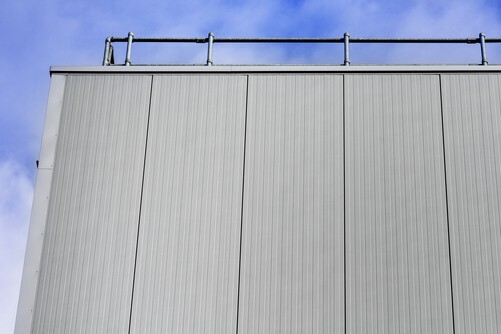 The new flat roof features 3000m2 of our Topdek roof system; a single-ply solution combining PVC/TPE membrane with our high-performing insulation and a trapezoidal-profiled steel deck. 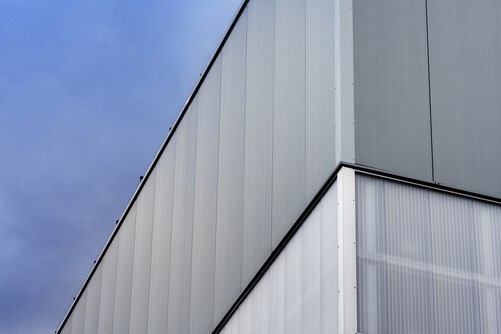 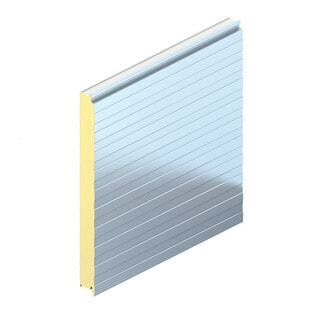 An integrated polycarbonate cladding and insulated wall panel solution was needed for the façade, and our new Kingspan Day-Lite Klick wall panel combined with Architectural Wall Panel in Euro-Box profile proved ideal to meet the aesthetic, thermal performance and cost-effective requirements of the project.